It may be time to renovate that old, run down bathroom that you have been avoiding for some time. Renovations in bathrooms or even anywhere in the home can be quite costly. You don’t necessarily have to generate a state of the art facility to create that homely feeling. However you must be satisfied with the improvements that are completed in your home. We’ve provided some affordable renovation ideas that can be completed on a tight budget. There are common ways in which to remodel or renovate your bathroom. You can repair or re-use your current amenities by resurfacing, painting or altering the amenities. This can be a timely, yet effective way to renovate your bathroom on a tight budget. Cracks or damaged surfaces are easily repaired and can look as good as new if executed effectively. Visit your local hardware store for the correct supplies. If you need to replace specific sections such as shower screens, source acceptable resolutions such as Down Under Screens. It may be frowned upon by some, however purchasing second hand units or facilities can be the most affordable way to renovate your bathroom. Depending on what you are specifically after to replace, these items can be purchased at second hand or renovation stores. Once you have purchased your second hand unit, you can also repair or remodel it to suit your individual taste. If you are more interested in the new, modern appearance, pre-fabricated units are generally more affordable. They are constructed in the factory and delivered to retailers or your home. They tend to be designed out of fiberglass or acrylic and come in a variety of designs, shapes, colours and textures that can be chosen from to suit your unique taste. The entire unit may feature a shower, tub and basin. This may be a more affordable idea opposed to purchasing units individually. Depending on your own experience or skill level, it will be by far cheaper to complete the renovation yourself. Clearly the hiring of professionals will encounter a huge labour fee. If you have some past experience or you are a very eager and fast learner, try taking on the task yourself. If you have family or friends that are willing to help, take advantage as they may bring some experience also. Be sure to do your research prior to making any adjustments or modifications to your bathroom. You can conduct your research online or gain advice from professionals or friends to help provide some indication of what lies ahead. 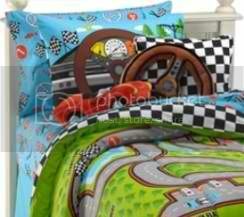 Research will also help you develop ideas on what designs or styles you like and the cost involved. These ideas are a mere indication of ways to renovate your bathroom on a tight budget. Be sure to seek advice and explore your options prior making any modifications as prices and selection will vary depending your interests and location. Home improvement includes beautifying the different areas of the house such as living room, dining room, kitchen, bathroom and so on. 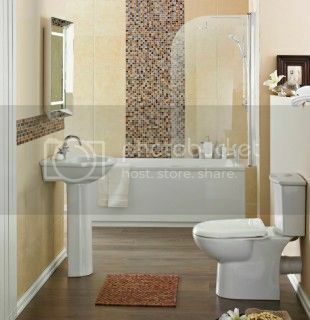 Because bathroom is one of the most important part of your house, it must be comfortable and convenient to use. You should carefully consider what accessories you will install in it, plus the items that must be added. If you’ve hired an interior designer, you may suggest wet room kits online if you prefer getting a set of shower tray kits, shower cubicles and wall panelling kits especially if your house have so many rooms and each of them will have a separate rest room. Luxurious bathroooms don’t need to be so much expensive. All you need is the right choices. By checking online deals and taking advantage of great discounts from your local shops, you can grab a less expensive bathroom accessories. 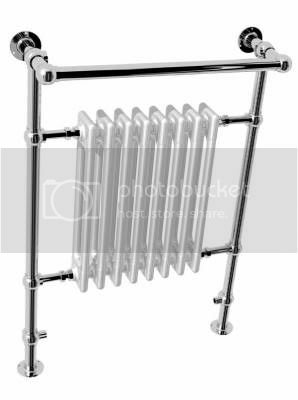 You can purchase the finest bathroom towel rail and towel rail valves with free delivery service. Other accessories that you may buy one by one are shower caddies and shelves, toilet brushes and tissue holders, shower rods and curtain, grab bar, faucets and mirrors. People are naturally vain so a full-size mirror will be a great confidence booster. If there is a limited space in the bathroom, you can go for smaller sizes. Mirrors comes in different sizes, shapes and textures. Round or silver edges are also attractive so make sure that it suits your theme. There should be harmony in every bathroom accesory. Other miscellaneous stuff that you can include in your bathroom bars or cabinet are soap dispensers, toothbrush holders and cotton containers. Other miscellaneous stuff that you can include in your bathroom bars or cabinet are soap dispensers, toothbrush holders and cotton containers. 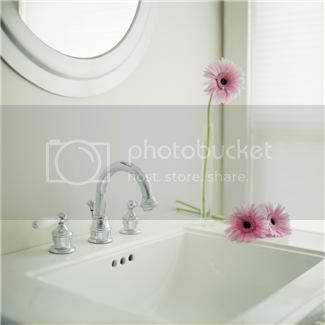 It depends on you how would you like to arrange the different items inside your bathroom. If you think other stuff will just clutter the space, then you may just remove them. Multi-purpose holders are also available in the market. Instead of having different containers, you can just go for hanging or expandable containers.